Pam currently serves Partnership for Youth as the Rochester Event Coordinator. 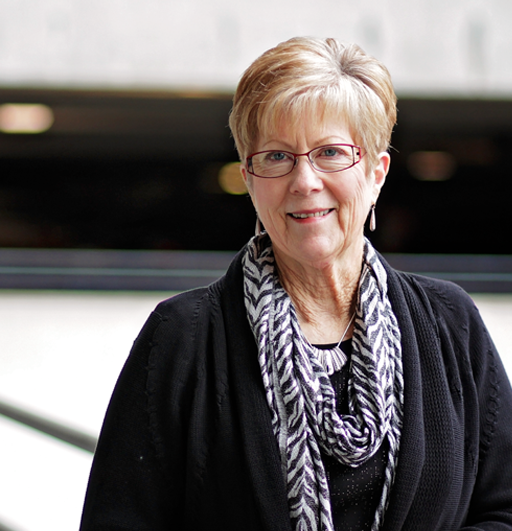 Pam devoted over 29 years to Mayo Clinic as an Administrative Assistant and since 2007 has put her skills and love for people to work at Partnership for Youth. After she and her husband, Bill, took two of their high school aged daughters to a Steubenville Youth Conference on the campus of Franciscan University in 1993, she along with other parents in Rochester prayed that a Conference would be offered closer to home. Prayers were answered when, in 2007, Partnership for Youth broadened their reach and partnered with the University to open a second Minnesota conference site in Rochester. She celebrated her retirement from Mayo in October of 2014 and is excited to deepen relationships and expand her role at Partnership for Youth. Pam assists with coordinating all PFY events in the Southern Minnesota Region. She is immeasurably blessed with eight children and 17 grandchildren. In addition to visiting them, she enjoys traveling having been as far East as Italy and as far West as Tahiti as well as throughout the United States, the Virgin Islands and Puerto Rico. She also enjoys spending time at the lake or on the Mississippi River piloting their ski boat, teaching others to water ski or, when not towing someone, just opening up the throttle and driving fast on the open water.